Our Friends at the Bloch Team are hosting their 6th annual Clothing Drive. Save all those good clothes and be ready. 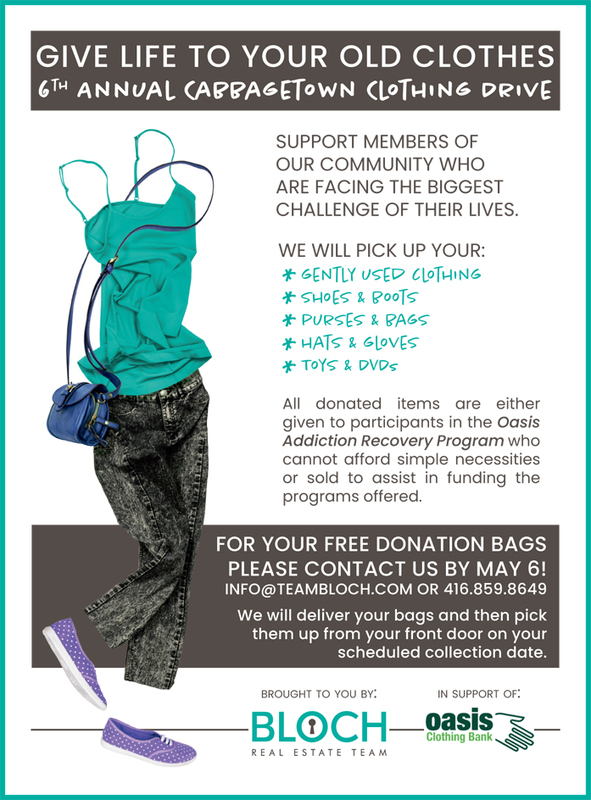 In support of the Oasis Addiction Recovery Program. Thanks Bloch Team.